Tim Crawford died at his residence May 7 at the age of 60. He was born to Leo and Gay Crawford February 8, 1954 in Minneapolis, MN. As a young child, he moved with his family to Sioux Falls. He graduated from O'Gorman High School in 1972 and earned his B.A. 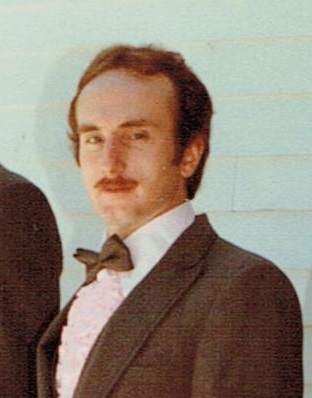 in Business Administration with a Major in Accounting in 1982. Tim enjoyed motorcycles and family vacations at Lake Cochrane. He was active in Boy Scouts and wrestling at O'Gorman. Tim is survived by siblings: Mary Jo, Sioux Falls, Terri, Sioux Falls, Julie (Rod King), Centerville, Peggy (Jeff Jaeger), Sioux Falls, Casey, Sioux Falls, Dan, Lee's Summit, MO, Leo (Shelly), Baltic, and Paul (Theresa), Brookings; and many nieces, nephews and cousins. He was preceded in death by his parents. Memorials may be directed to the 5th Street connection or the Banquet. Visitation will be Tuesday, 6:30 PM with a Memorial Service at 7:30 PM at Barnett-Lewis Funeral Home.